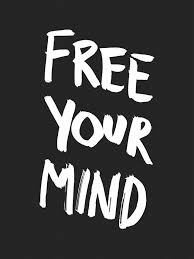 Free Your Mind and Stay Focused! While writing this blog, I realized I had many ideas that I wanted to talk about. So much, that my mind got overwhelmed and I could not decide which topic to choose. I know I’m not the only person that has had this problem. A little tip that my father gave me to help me maintain composure is to grab a piece of paper and write down everything occupying my mind at the moment. Something so simple yet it eases your mind because you now have unloaded that information and you are able to think freely while being stress free. Try this, and see how easier your day becomes.